Running a successful blog is just like living a successful life. You make a lot of decisions, and each of them leads you to certain effects. Eat well, you’ll have energy. Exercise regularly, you’ll feel great. Miss an important appointment, feel miserable because of missing the opportunity. Blogging is no different than real life. The main purpose is growth, and you are the player who makes all the choices. Good or bad, that depends entirely on your knowledge, skills, and blogging expertise. A blog is a collection of specific and useful knowledge that is meant to address the needs and desires of your target audience, and your goal should be to improve the quality of the experience that your visitors are receiving while consuming your content. As a blogger, you’ll always fluctuate and adapt to your prospects wishes and feedback. That means you’ll cover many topics throughout your posts, and the quality of each piece of content is more critical than you think. There are many mistakes that can hurt your brand’s image and reputation, and many of these wrongdoings are related to the way you create, structure, and publish your blog posts. Most people are reading your blog to gain value from your content, so offering them a different experience than they expect will make you lose lots of potential leads. Well, in today’s post, I’m going to detail 10 common mistakes that bloggers commit while writing blog posts. Some of these mistakes can be easily avoided while others require more correcting and patience. Keep yourself out of trouble by acknowledging and implementing our solutions. Ready, set, go. To be relevant to your audience, you must write so they can reap the most value out of your content. When you start writing a blog post without consciously adapting to the needs and wants of your specific target audience, the result will often be superficial. Poor grammar and spelling are unacceptable mistakes in the blogging environment. I’m not talking about making one mistake on every two or three posts written – I’m talking about careless and numerous mistakes throughout a single piece of content. Hear this: your blog readers are expecting only the best, mostly because they are trading their precious time to read your information. A few typos and grammar mistakes will show a big lack of professionalism on your part, an aspect that’ll trigger negative consequences. Make sure you always proofread and edit your posts effectively before making them visible. I recommend using Grammarly. Writing a general blog post is a bad way to satisfy your audience’s information cravings. There are millions of blogs out there, and people are only following the ones that offer the most relevant information on specific subjects. The keyword here is specific. Publishing a shorter yet more concise blog post is always better than sharing a long and boring post that will be perceived as a waste of time. You can read a complete guide on “how long a blog post should be?“. Blogging is about sharing information with people who need guidance, entertainment, inspiration, passion, motivation, and so on. However, some bloggers forget that providing more value first and asking for rewards later is crucial to maintaining good relationships with the readers. Make sure you are never too intrusive with your requests, suggestions, and recommendations. Don’t mention your products too many times in your free content, don’t exaggerate with your CTAs, and never ask for something unless you’ve given the same amount of value first. Most blog owners are passionate individuals, probably just like you, who are eager to stand out from the crowd in one way or another. As writers and bloggers, we can always choose to employ certain communication and writing styles. Some bloggers will include humor in their content, mainly to diversify the tone and entertain the reader. This is a productive practice, but only if you’re truly funny! When you fail to amuse, you’ll be treated harshly by your readers. Nobody likes a fake joker, so make sure you test your style slowly, acquiring enough positive feedback to keep it going. Balance is the key to everything in life. Guess what – your blog posts must also have a suited balance between too much and too little information. It’s not always about the number of words. The most important matter when it comes to the completeness of a piece of content is the information that it contains. You can write the same information in 50 words and in 1000 words, only that the latter will contain additional words. Structure your blog posts using an outline, identify the key points you want to cover, review the draft, optimize it if needed, and then stick to the plan without wandering off and writing additional irrelevant information. Every blogger has a unique personality that is being put (or not) into action. This personality dictates the topics addressed on the blog, the commitment to his duties, and, of course, the tone of voice of the writer. As Jane Faxe, CEO at assignmentgeek.com.au suggests, “To stand out from the crowd and make your blog posts admirable, craft content that’s full of passion and personality. Be yourself and treat your readers like you would treat your best friends. Let them have a little bit of you. Show them who you are, why you’re doing what you’re doing, why should they follow you, and why your blog is better than the rest in the niche! A blog posts’ quality can be smashed by the presence of controversial or fake references. Whenever you post something, make sure you double check your links just to ensure that you aren’t citing anything fake, controversial, or racist. There are many blog readers who may get offended even though you’ve only recommended those posts and haven’t written them yourself. If your readers spot this mistake, they’ll immediately lose their trust in your blog and will probably stop following you. SEO is definitely important in this digital age. The search engines will bring a lot of targeted traffic back to your site, only if your content is well optimized and highly relevant to the reader. Many bloggers understand the basics of SEO, they understand the value of keywords, the role of meta information, and the importance of backlinking. However, what they don’t understand is that Google can easily identify even the subtlest patterns. For example, if you add a certain keyword multiple times throughout a post, and another keywords the same exact amount of times, Google will understand that you’re strategically trying to gain competitive advantage through your content optimization. This won’t always be good because Google’s role is to differentiate the most relevant and valuable content from the rest, not the most optimized one! Don’t exaggerate. Instead of focusing on adding enough keywords, try focusing on developing a better rapport with your readers. Like it or not, every mistake you commit while blogging will result in negative outcomes of different degrees. The faster you are self-aware of your mistakes the quicker you’ll be able to correct yourself and improve the quality of your content. Follow our suggestions and start doing less blog posting mistakes! Why is Advanced Web Analytics Essential for Marketers today? Mary Whitman is a blogger and freelancer from Adelaide, South Australia. In her spare time, she enjoys talking about Sustainable Development and Art. Frequently Asked Questions that Newbie Bloggers have in their minds. Great post. Poor grammar can be a real turn off. It is important to write a good article with great content along with good grammar and no spelling mistakes. Once you have written an article, you should go over it couple of times to check if there are any corrections to be made. After making necessary corrections you should post the article. 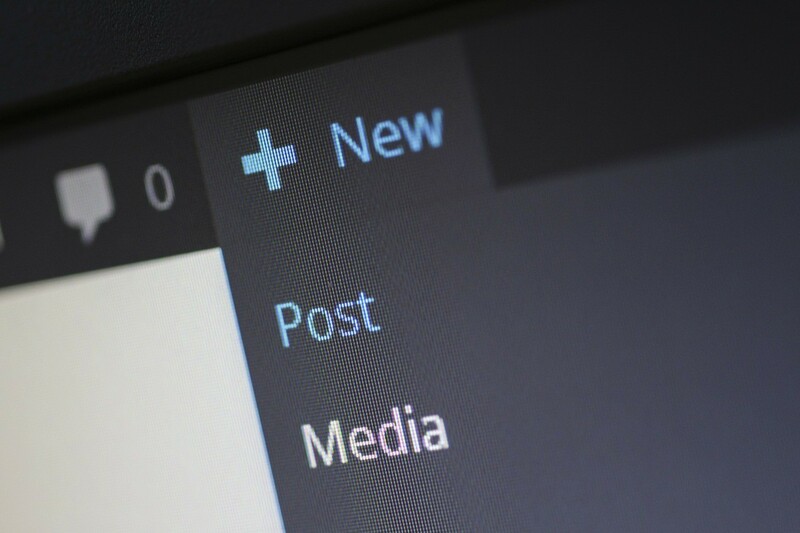 Just as it is important to know the ways to boost your post, it is equally important to know the things that can hamper your blog’s performance. You have very well to list the things we should take care of in order to safeguard our post. It is vital to write according to your target audience to keep them engage and wanting for more. I will surely adapt to this to help me improve my writing skills, thanks for sharing. Excellent points Mary, I agree with almost each and every point. Also it kills me whenever I go through an average blog post that doesn’t offer any real value to the audience. There are so many people who write blog posts without having any goal in mind. You should always ask yourself whether you need more traffic or sales before publishing a blog post. It’s also important to focus on finding better keywords to use within your blog posts to attract more organic traffic from search engines like Google. Always make sure to focus on your target audience and educate them with your content if you really want to make your blog posts go viral online. Thanks for sharing the tips with us Mary, keep up the great work.